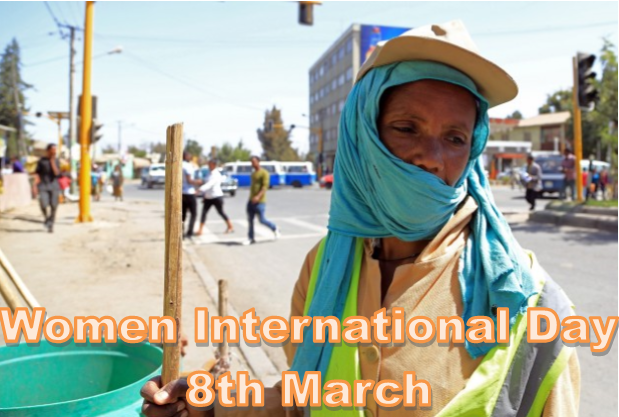 As the world marks Women’s International Day on Sunday, women in Ethiopia are still seeking a local model that can give them inspiration and guidance in their pursuit of gender equality. The Ethiopian government takes pride in having legally eliminated all forms of discrimination against women. But in Ethiopia, where a patriarchal society has for long kept its 58 percent of the 90-million population in subordinate positions and traditional rigid gender roles, much more remains to be done. "Since 1993, the government has adopted equitable and gender sensitive policies, which involves affirmative action [against gender discrimination]," Abiy Ephrem, the public relation officer of the Ethiopian Ministry of Women, Children and Youth Affairs, told The Anadolu Agency. Yet, he said, gender stereotypes, domestic violence, low women representation in the decision-making process and poor economic empowerment still beset Ethiopian women. Emebet Tessema, a civil servant, agrees. "Today we are better off than our mothers and grandmothers," she told AA. "But there is deeply entrenched bias and professions that are restricted to men," she added. "The struggle for gender equality and equity must be modernized and collectivized," she asserted. Renowned actress Haregewoin Assefa, for her part, urged Ethiopian women to find icons among them who can lead their struggle for equality. "We have so many iconic women who represent the perfect embodiment of courage, justice and endurance throughout our history," she said. Many Ethiopian women helped shape their country's history, including Empress Taitu, who remained a close adviser to her husband Emperor Minelik II throughout his reign from 1889 to 1913. World-known athletes like Derartu Tulu and Tirunesh Dibaba gave a bright image of Ethiopia's women. "In Ethiopia, there are many model women whose deeds could be imitated to enhance our struggle," Assefa said. Yet, among these figures, she said, "we could not be able to set prominent personalities and celebrities to lead this long fight." Journalist Yiftusira Tugi seconded Assefa's view. "We do not have a single woman figure that we [women] agree to consider as a model," she said. "We have many iconic women whom we consider differently. Empress Taitu is praised as a model by many. For me, Abebech Gobena, a philanthropist who run an orphanage, is the right model." But for some women, they themselves can play that role. "I don’t have names of women whom I consider as a model," Wogagan wondimagegn, a 31-year-old street sweeper, told AA. "For me, my life and my freedom are measured by making my family's daily bread," she said. "I feel I am equal with men as I have a role in my family’s decision-making. But I highly value our right to equal opportunities." Fetia Kemal, a 26-year-old parking attendant, also wouldn’t know who to consider as her model, but she asserted that she is capable of working as men. "I am confident and this confidence makes me able to rely on myself with this tiny business," she said with a proud smile on her face. "Tiresome it is, but I'm generating considerable money."